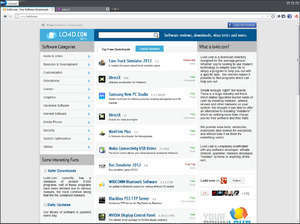 Comodo IceDragon is a fully-featured web browser based 100% on Mozilla's Firefox. Unlike Firefox, Comodo IceDragon has been customized in several ways and leverages a few extra privacy features developed by Comodo. One of the first things to note when installing IceDragon is the fact that Comodo offers to utilize their own DNS servers instead of the ones provided by your ISP. The benefit here is that your browsing details are not shared with third parties which are known to purchase user browsing habits from ISPs. Version 68.0.3440.107 is a freeware program which does not have restrictions and it's free so it doesn't cost anything. For security reasons, you should also check out the Comodo IceDragon download at LO4D.com which includes virus and malware tests. Additional screenshots of this application download may be available, too. Comodo IceDragon has a presence on social networks.